2012 is the year I finally finish off my two ongoing WIPS, then begin the ordeal of putting together a submission package and sending it all off. With that in mind, it’s perfect timing that I’m helping Nicola Morgan with the blog tour for her new book, Write A Great Synopsis: An Expert Guide. This short ebook has got some brilliant ideas in for turning said ordeal into something manageable and even exciting. No, really! I thought a sensible thing to do for my lovely blog hosts who want an actual post would be to give each one a different extract from the book. (There will be links to the whole blog tour on my blog sidebar.) So, what will I offer to your readers? Well, in WAGS I have a whole chapter devoted to answering actual questions from writers. I thought I’d give you three of them here. 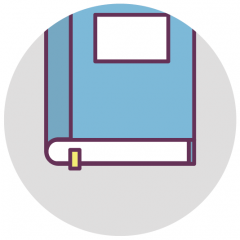 What if your novel is exceptionally long? It doesn’t mean that the synopsis should be or even needs to be. If you’ve written Anna Karenina, leave out the farming stuff and that should help a lot. A book that is very long is usually so because there are many obstacles or incidents to get through, in which case not all need be mentioned individually: “Seraphina spends fifteen years on the ranch, working her way through a series of increasingly unsuitable men” is a perfectly adequate way to convey a whole section of your saga. If your book is long because of rich description or characterisation, or farming, that is stuff which doesn’t appear in a synopsis anyway. Do I really have to include the ending? Another blog-reader, Laura Mary, wondered whether this is necessary if the ending gives away a vital twist, the knowledge of which will spoil the enjoyment for the reader. Yes, almost everyone agrees that endings must be given in synopses for agents and editors. Yes, it may remove some of their anticipation while reading the book, but they are professionals and they will survive the pain. Besides, if you write your synopsis well enough, they will still get that “Ahhh, clever ending!” feeling when reading the synopsis itself. What’s more important: content or style? I don’t think the two ever have to be mutually exclusive. I certainly don’t think style and tone require a more expansive approach: they can be conveyed with no extra words, just well chosen words. I do understand the question, though, and can see why writers might ask it. I just believe that a writer who is even asking the question most likely has enough skill to tread the balance and satisfy the needs for both content and style. However, you cannot hope to achieve a piece of flash fiction; a synopsis is a functional exercise, little more. 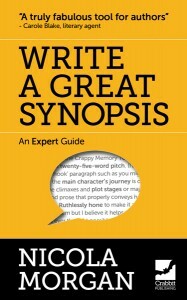 Write a Great Synopsis covers everything about synopsis-writing, clearly and reassuringly. At the end of it I believe you truly will say to yourself, “Don’t panic – it’s only a synopsis!” That is my aim. All commenters below (by Feb 15th) will be entered into the Big WAGS Competition, with chances to win a critique of your synopsis by the Crabbit Old Bat herself! One comment per person on each blog – though you can add to your chances by commenting on the other posts on the tour. Details of all stops on the tour will appear on my blog (Help! I Need a Publisher!) as they go out. Thank you for listening and I do hope I can help you write a great synopsis! For details about the book, including buying options, go here. The link direct to Amazon UK is here. Thanks again for letting me visit!